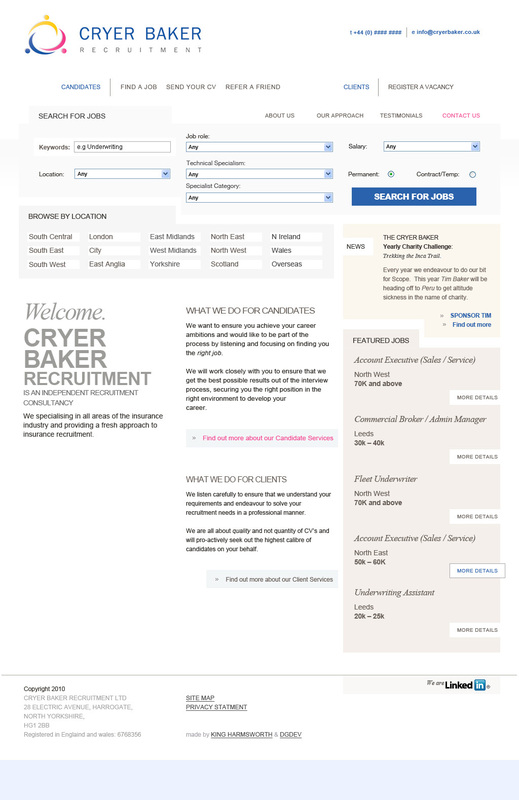 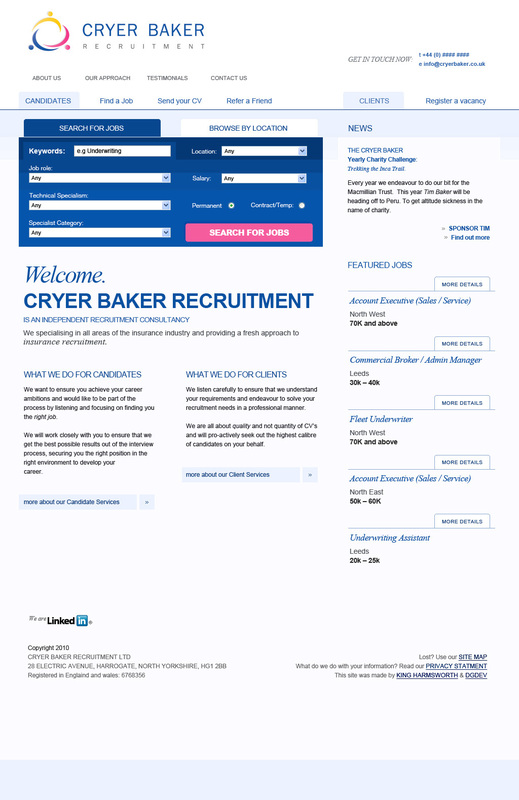 Cryer Baker Recruitment is a specialist insurance recruitment company formed in 2008, they have developed quickly and successfully. 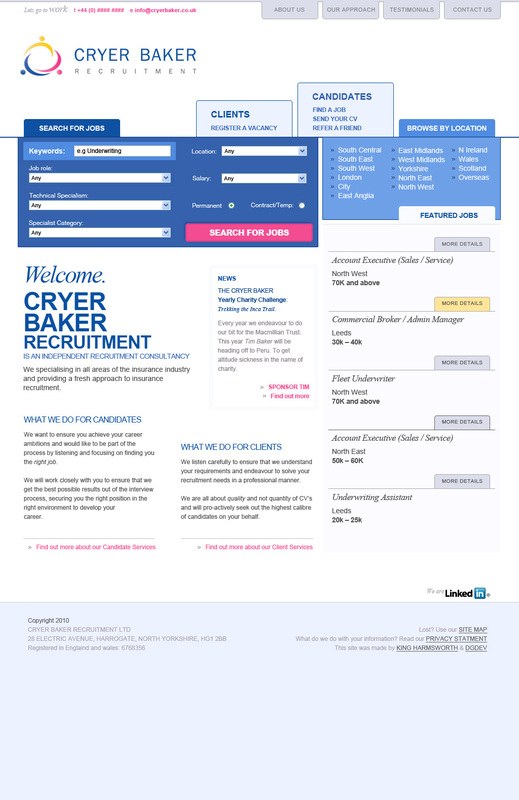 In 2010 they commissioned King Harmsworth to build them a website that would rival and surpass their larger established competitors. 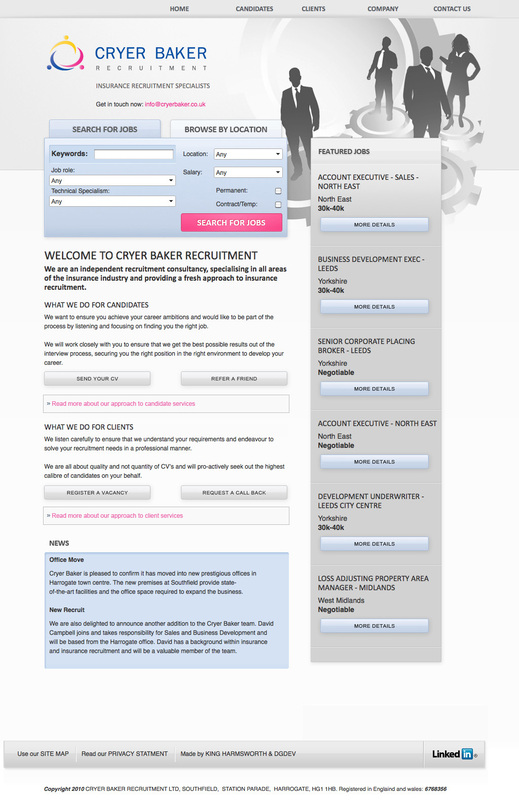 Backend work was built in conjunction with favourite web developer Daryl from DG Dev using the sitefinity CMS.